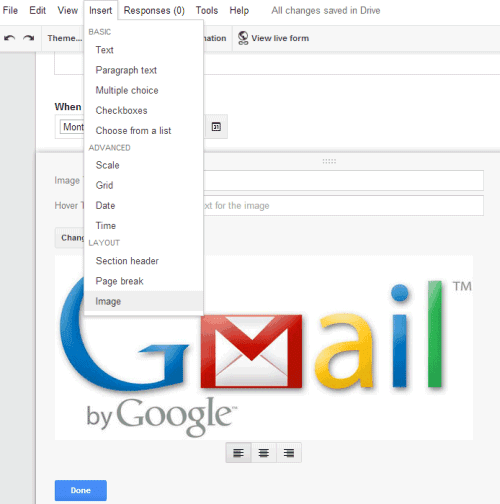 You can now add images to Google Forms. Just click the "Insert" menu, select "Image" and upload the image you want to add. You can also select an image from Google Drive, Google+ Photos, take a snapshot, enter the URL or use Google Image Search to find the right image. "Photos can be resized, centered, or swapped out for another photo with just a few simple clicks," informs Google. You can also enter an image title and a hover text.